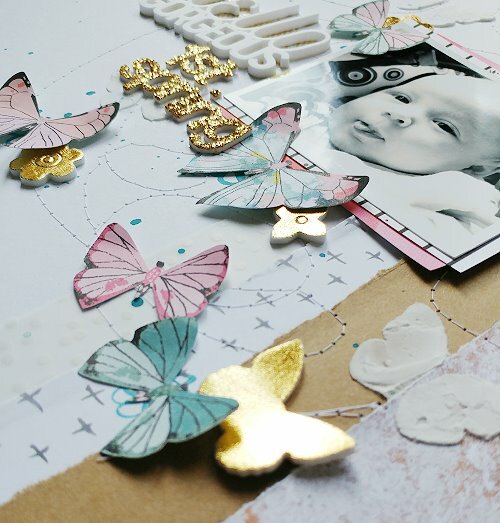 Hi everyone, Jana here with my first post on the Blog! I am very excited to share my first project with you! 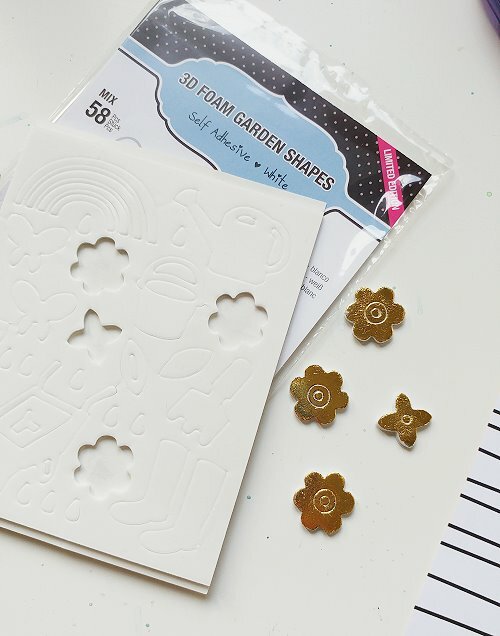 I grabbed some 3D Foam Butterflies and some 3D Foam Garden Shapes to start this Layout. This cutie on the photo is my little one, 7 yrs ago! His first Spring! I love this picture so much and I miss that time! Spring means flowers and butterflies, right?! 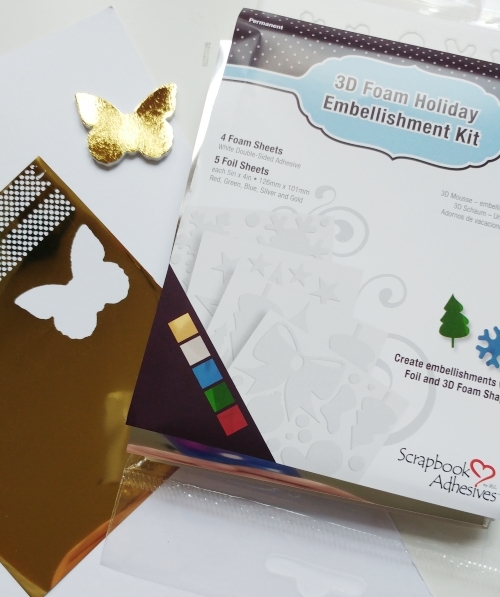 I used Gold Foil from 3D Foam Creative Embellishment Kit to add a nice golden sparkling touch to the 3D Foam Shapes and I am very impressed about the results. It is so easy to add the foil! 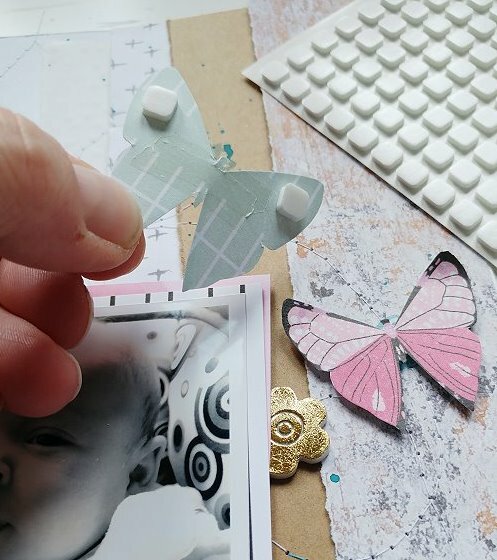 I cut out a lot of the little butterflies from a Crate Paper paper and scattered them around on my white cardstock. I added some 3D Foam Squares to give them some dimension. This entry was posted in 3D Foam Shapes, 3D Foam Squares, Adhesives, Crafts & Tutorials, E-Z Runner® Dispensers, Scrapbook Page, Scrapbooking, Seasonal Craft Ideas, Spring, Tutorial, Wear your Adhesive on the Outside and tagged 3D Foam Butterflies, 3D Foam Creative Embellishment Kit with Foil, 3D Foam Garden Shapes, 3D Foam Squares Small White, Baby, Bella BLVD, Butterflies, ColorCastDesigns, Crate Paper, E-Z Dots Permanent, E-Z Dots Permanent Refill, E-Z Dots Permanent Refillable, E-Z Runner Permanent Fine, Echo Park Paper Co., Foil, Jana Maiwald-McCarthy, Scrapbook Page, Scrapbooking, Simple Stories, Spring, Tim Holtz, Tutorial, Wear Your Adhesive on the Outside. Bookmark the permalink. 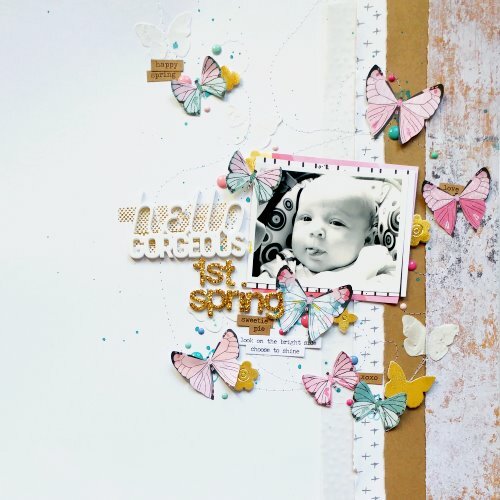 2 Responses to "1st Spring | Scrapbooking Layout with 3D Foam Shapes"
Such a sweet and pretty layout!